Do you love a party? The kind of party where everyone gets to see you swirling and twirling in your finest? If you do then this is the party for you. 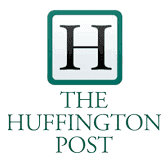 Link up at ANY of the 13 Blogs participating and your link will be seen on all 13 blogs. We’ll be pinning links daily to our It’s a Spring Thing pinterest board and we’ll also be doing a feature post with our party favorites. 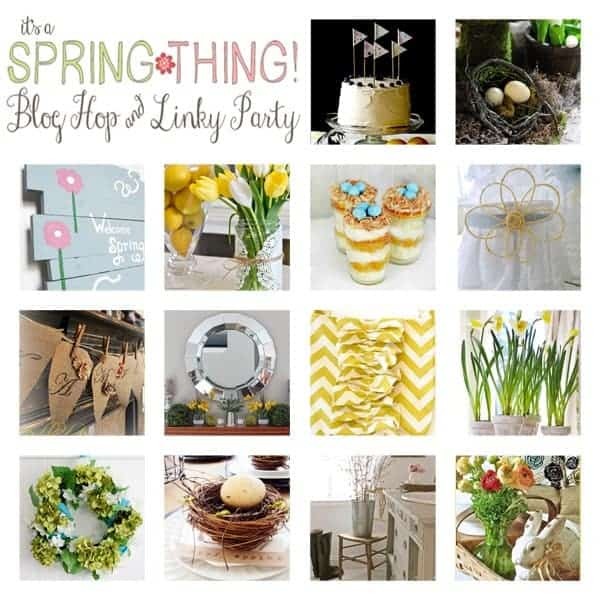 Before this party begins, here is a recap of all the fabulous It’s a Spring Thing Blog Hop posts to give you some Easter and Spring inspiration. 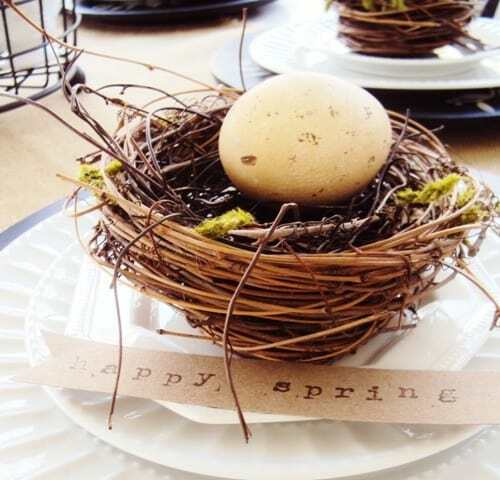 The next stop was Dear Lillie where Jennifer showcased her spring tablescape and dining room decor for the season with lovely nests, bird’s eggs and moss mushrooms plus so much more. 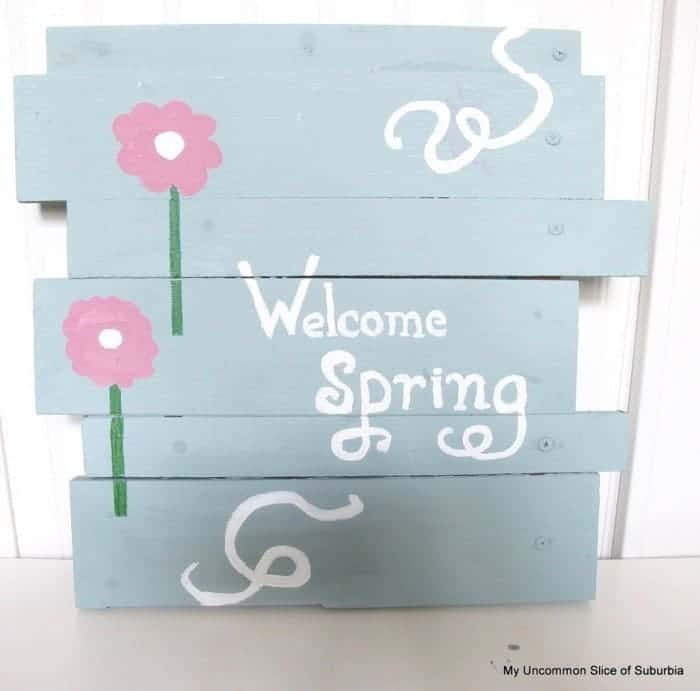 Stop number 3 was a cheerful spring sign made from scrapwood by Kristin at My Uncommon Slice of Suburbia. 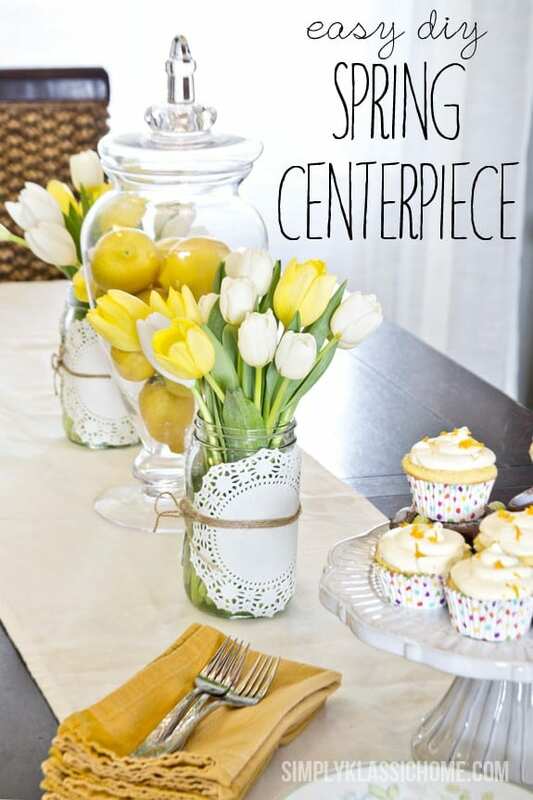 Kristin from Simply Klassic Home shared an easy and lovely spring centerpiece. 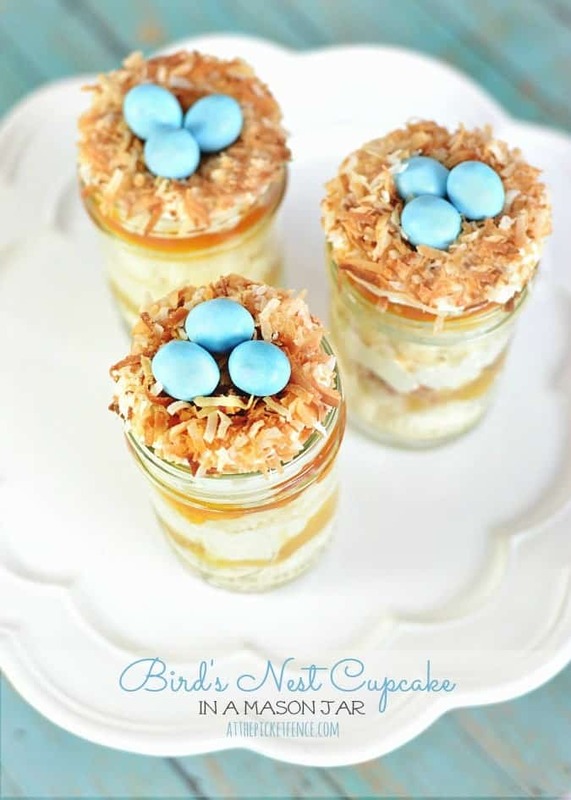 Heather from At the Picket Fence created these amazing Bird’s Nest Coconut Cupcakes in Mason Jars. 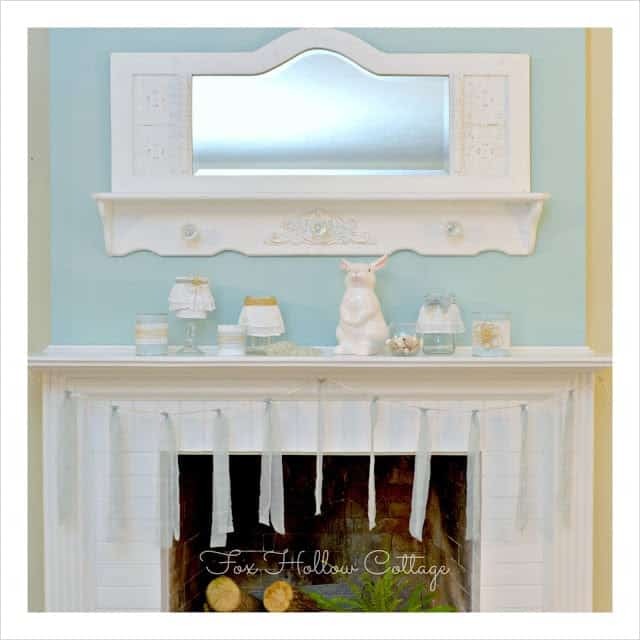 Shannon from Fox Hollow Cottage shared her stunning Nicole Miller Inspired mantel. 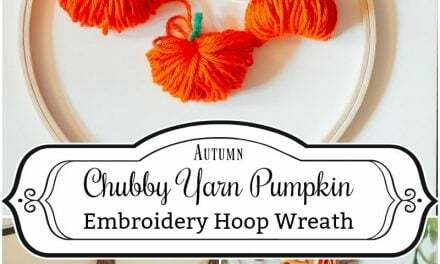 Stop number 7 was Debbiedoo’s where Debbie posted her 10+ Spring and Summer Craft Projects. 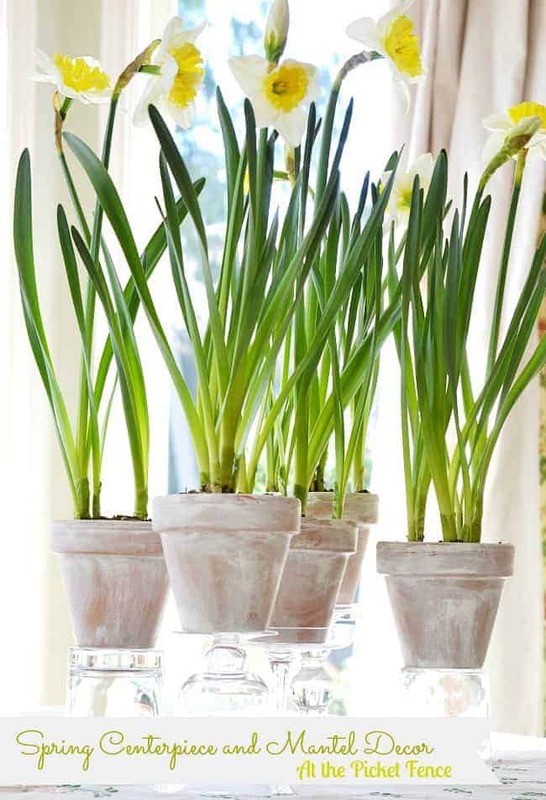 Next up, Heather from Setting for Four shared a beautiful and fresh spring mantel along with great tips on How to Decorate a Spring Mantel. Angelina from JoJo and Eloise inspired us with her Spring Chevron Tote Bag. 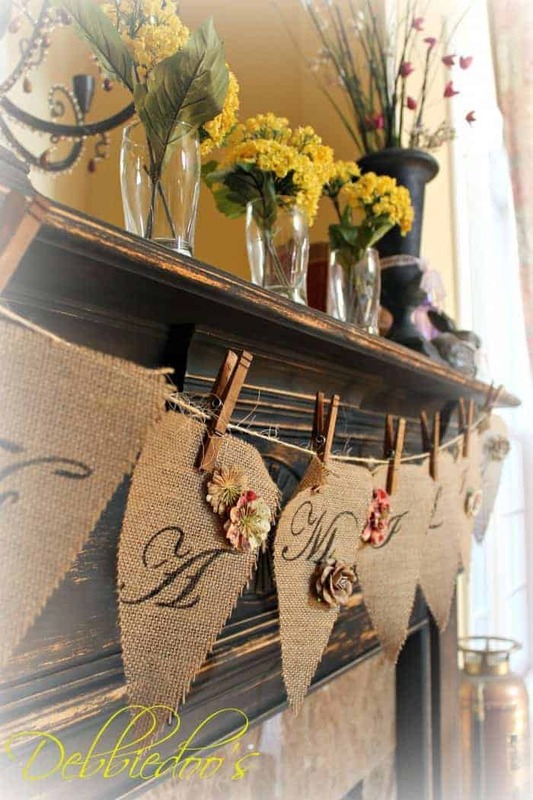 Vanessa from At the Picket Fence brought a smile to my face with a story about her Mom and this awesome Centerpiece/Mantel. 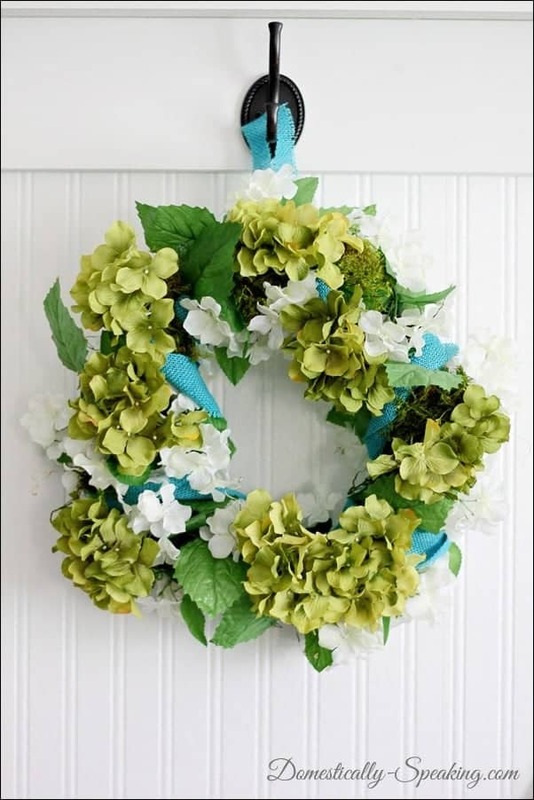 Stop number 11 was Domestically Speaking where Maryann inspired with this lovely wreath ~ don’t you just love the green and blue color combination? KariAnne from Thistlewood Farms shared her Tea-Stained and Speckled eggs with us ~ lovely! 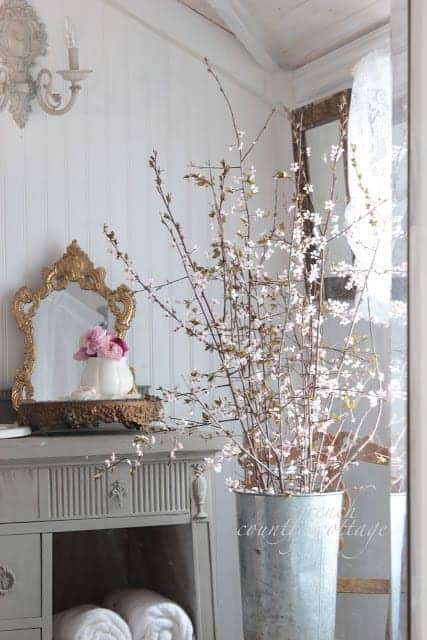 Courtney from French Country Cottage dazzled with her spring flower display ~ I could almost smell these beauties! 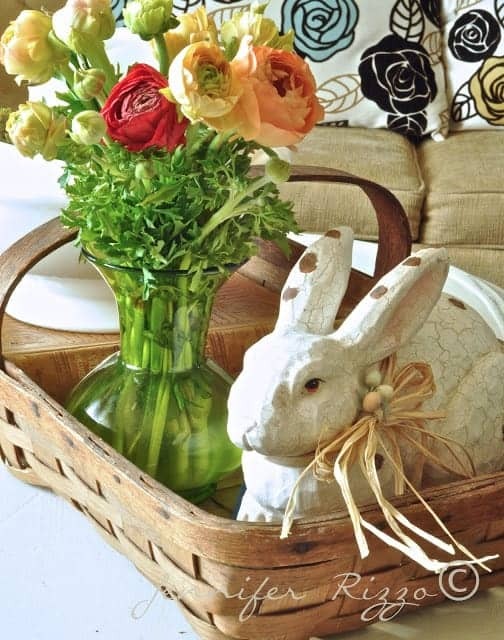 The last stop of this fabulous hop was at Jennifer Rizzo where Jen shared her Spring Decor and an easy to make with the kids edible chocolate basket! 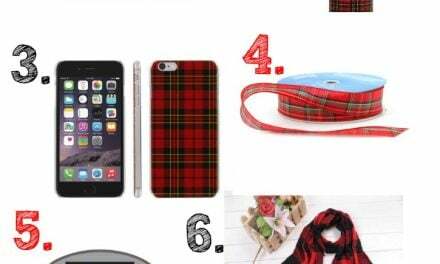 If pinning any of the pictures in this post, please pin from the original source. And please also visit some of your favorite links and let them know how you found them ~ now….let’s PARTY!